On August 22, 1864, the International Committee of the Red Cross was founded in Geneva, Switzerland. The Red Cross is an international symbol of non-partisan, non-profit relief efforts, assisting in response to both natural and man-made disasters. 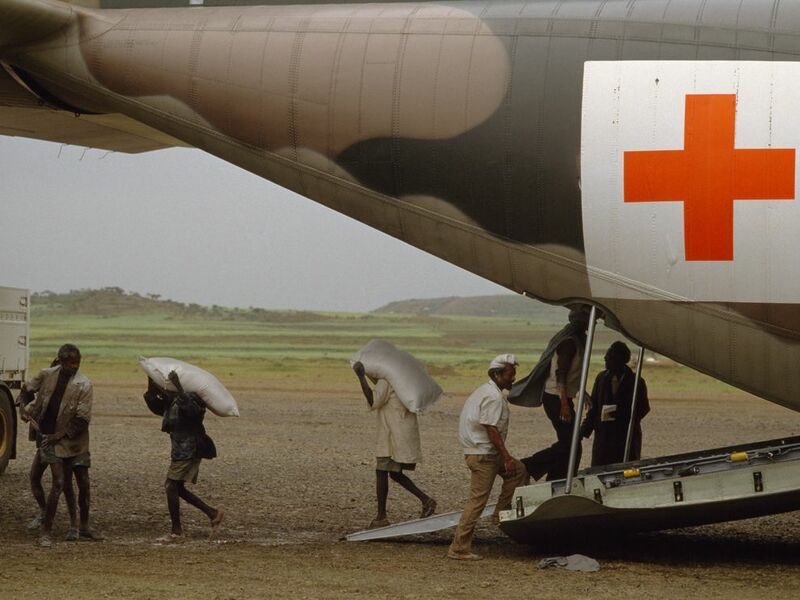 Here, Red Cross personnel provide aid to famine victims in Aksum, Ethiopia. The International Committee of the Red Cross has received three Nobel Peace Prizes, an unmatched feat. It is the leading agency in the Red Cross Movement, which includes national Red Cross and Red Crescent societies. organization serving the government of a country or nation. Also called a government agency. person who negotiates important political and economic agreements, usually for a government. international organization focused on humanitarian aid and disaster relief. Formally called the International Red Cross and Red Crescent Movement.